Dr. Ehsan Taheri is passionate about the impact a beautiful, healthy smile can have on his patients’ quality of life. Dr. Taheri attended the University of British Columbia where he later graduated with his Doctor of Dental Medicine degree. Dr. Taheri is a detail oriented dental expert with a special interest in cosmetic dentistry and dental surgery. Dr. Taheri is committed to staying current with modern dental technology and solutions by pursuing continuing education. Ehsan is happily married and in his spare time he and his wife love to sail, scuba dive, play soccer, and cheer on the Vancouver Canucks! Dr. Alison Fransen is a 1997 graduate of The University of British Columbia, and enjoys teaching at the dental school one day a week. “When I was young I loved visiting my dentist. The receptionist knew my name and often asked me about my day at school, the dental assistant remembered my favourite fluoride flavour and the dentist was always gentle and kind. As a patient I enjoyed visiting my dentist’s office and now as a dentist I have recreated that same friendly atmosphere for you in the Wesbrook Dental Centre. Dr. Anna Kim, received both a Doctor of Dental Surgery and a Bachelor of Medical Science Degree at the University of Alberta in 2008. She enjoys all facets of general dentistry, but the most rewarding aspects for her are working with children. She also provides cosmetic dental services to adult patients, which are procedures such as creating natural looking porcelain veneers, crowns and esthetic cavity restorations. 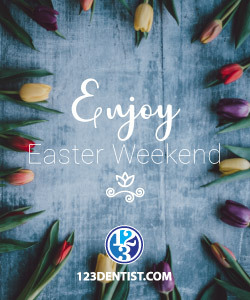 She believes that communication and connecting with her patients plays key roles in helping to alleviate any fears they may have and in personalizing their dental needs. Dr. Kim strives for the highest standard of restorative and cosmetic dentistry by attending and participating in numerous advanced education seminars in North America. 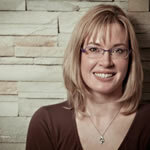 She is an active member of the College of Dental Surgeons of British Columbia and the Canadian Dental Association. Aside from dentistry, she enjoys being outdoors with her husband and their two dogs, practicing yoga, paddle boarding and cross country skiing. 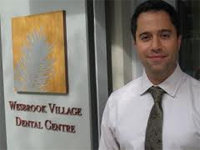 Wesbrook Village Dental is proudly owned by Dr. Alison Fransen and Dr. Amin Shivji.